If you have just recently used dentures, you will find that it may take a while to get used to having the teeth replacements inside your mouth. Dental implants can put an end to the suffering caused by denture problems, which can be both uncomfortable and embarrassing. These are the most common problems experienced by new denture users. The feeling of the dentures inside the mouth will feel weird at first. It will take some time before the dentures feel so natural that you will forget that you have anything unnatural inside your mouth. dentist to make small adjustments for more comfortable denture use. 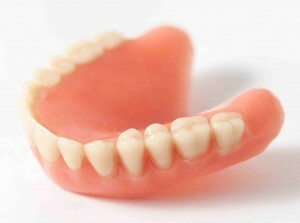 Dentures can rub against the gums and inner mouth in an uncomfortable way. If the friction leads to mouth sores, go to your dentist and ask if any adjustments can be made to improve the fit of the dentures. New dentures can hinder normal speech, and it may take a few days to get used to the dentures inside the mouth to be able to speak clearly again. 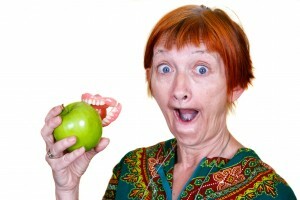 A patient newly fitted with dentures may find it challenging to eat at first. Eating will become more normal, and much easier, as time goes by with denture use.